Located 5 miles from the city of Napoli, Italy, Mount Vesuvius is one of the most famous active volcanoes in the world. 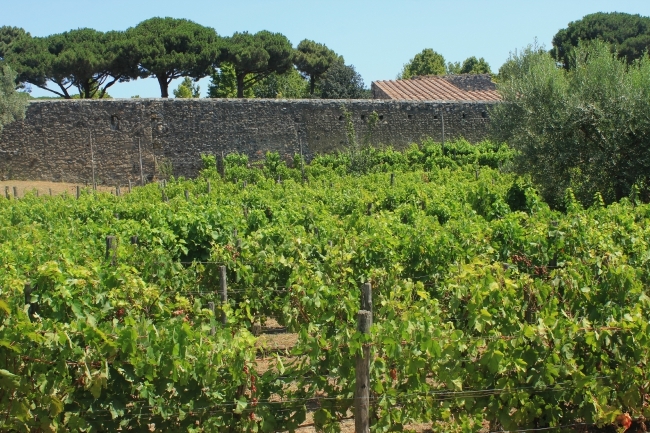 Its most famous eruption took place in the year 79 A.D., when life came to a permanent standstill in one of the most active and splendid Roman centres, Pompeii. 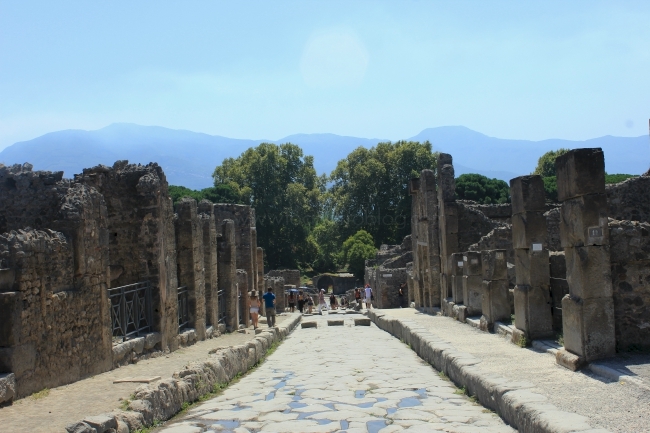 One of the first things we did when we got to the city of Napoli, Italy was visit Pompeii. 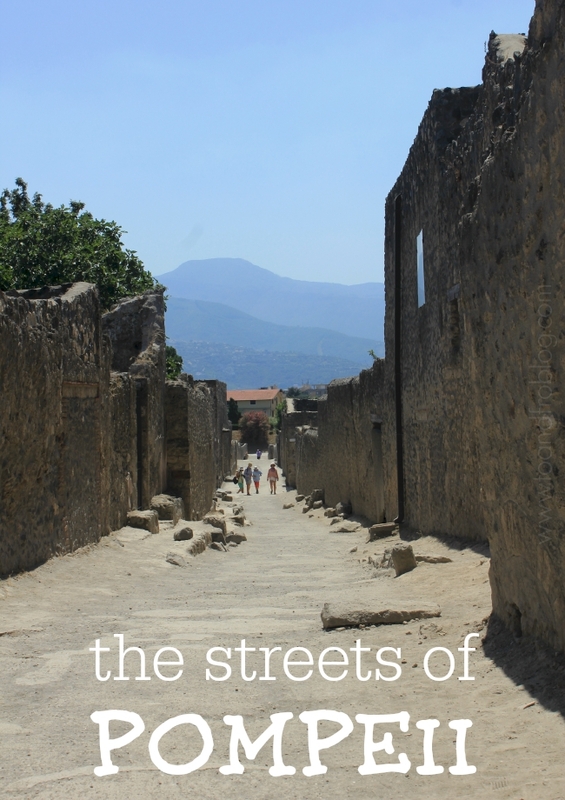 Despite the heat and humidity, while wandering the streets of Pompeii, past the former shops, baths, gardens, apartments and theatres, it was easy to get a sense of everyday life in the ancient city. Mount Vesuvius erupted with tremendous force and little warning. Most Pompeiians had plenty of time to flee. For those who stayed behind, however, conditions soon grew worse. As more and more ash fell, it clogged the air, making it difficult to breathe. 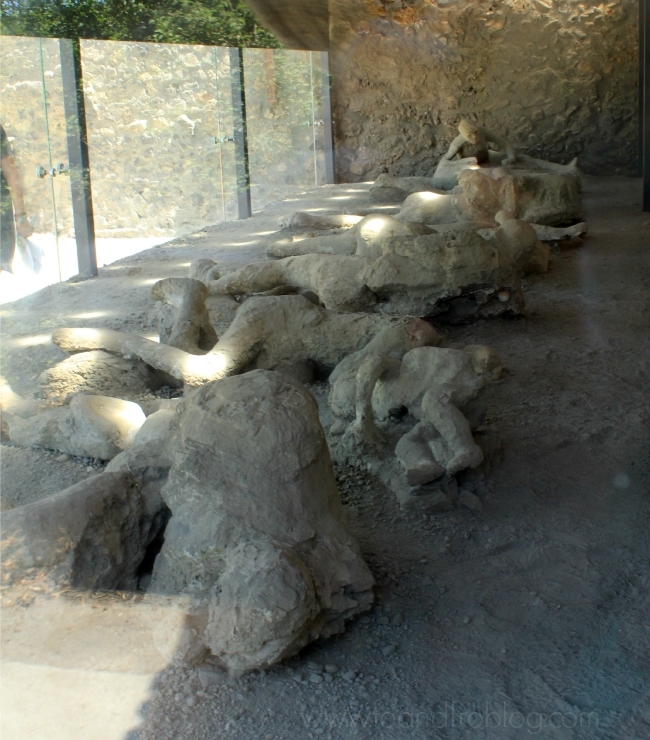 Within 24 hours, the city of Pompeii was completely buried under metres of volcanic debris. Two thousand people died, and the city was abandoned for almost as many years. The city remained mostly untouched until 1748, when a group of explorers looking for ancient artifacts arrived in area and began to dig. They were surprised to find that the ashes and debris from the eruption acted as the perfect preservative - underneath, Pompeii was almost exactly as it had been 2,000 years before. Its buildings were intact, skeletons were frozen right where they’d fallen and everyday objects littered the streets. 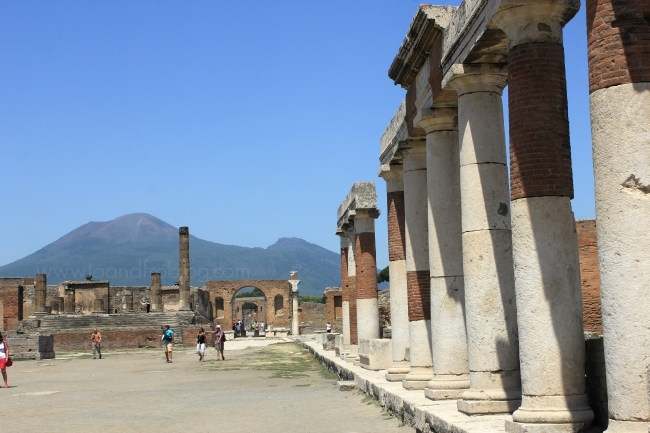 Pompeii is one of the most significant proofs of Roman civilization and provides outstanding information on the art, customs, trades and everyday life of the past. Today, 600,000 people live at the base of Mount Vesuvius, in the region known as the "red zone", or area that would be most directly affected by an eruption. Geologists and volcanologists who study Mount Vesuvius agree that it is overdue for an explosion and therefore continuously monitor its activity. 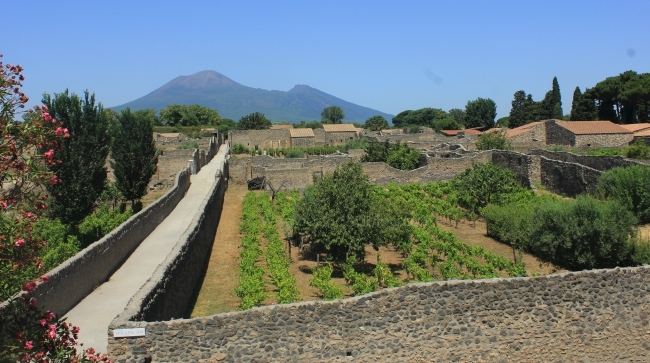 + Pompeii is about 150 miles south of Rome, an easy day trip. 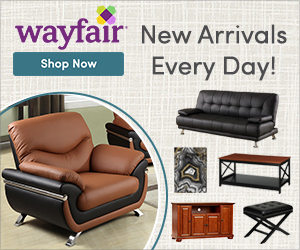 + The site is large, plan on spending at least 2 to 3 hours touring the city. + The whole site is very exposed with minimal shade, so bring lots of sunscreen, a hat and water. + There are several water fountains throughout the city to refill a water bottle. + There is a small area outside, near the parking lot, that sells touristy things, snacks and cold drinks. + Maps and guides of Pompeii are available in several languages at the gate. 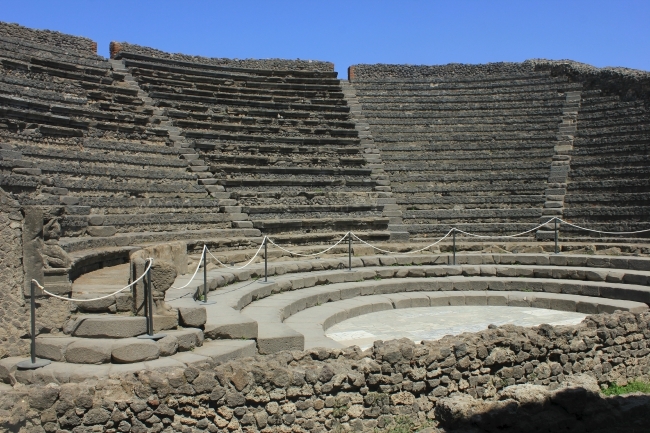 Have you ever been to Pompeii? This would be a dream trip for me after studying Anthropology in college!! 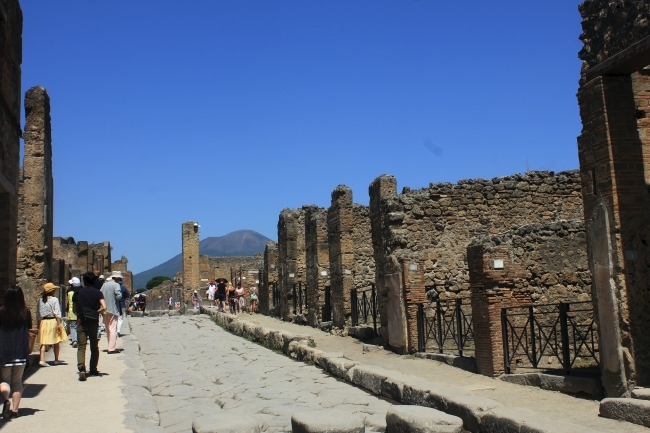 I went to Pompeii a few years ago while visiting relatives in Naples. What shocked me the most was how BIG Pompeii actually was. For some reason, I thought it was a small area...not an entire city! Wow, amazing. I need to see this myself someday. M and I went to Pompeii on our way down to the Amalfi coast a few years ago. It was absolutely amazing - so historical, sad but incredibly interesting. I wish I'd known how little shade there was beforehand, I didn't have a hat or anything - even with SPF70 on I got fried!